Cracker guitarist Johnny Hickman’s second solo record Tilting was a long time coming. The fiercely loyal fans of Hickman’s and Cracker’s have waited on it for years. It has been a long 7 years since his excellent first record Palmhenge was released. Unfortunately Tilting will go unnoticed by everyone else. Hickman breaks out his 70’s style rock influence for much of the record, he is at his best when he writes simple guitar driven songs like “Another Road” or the Lebowski-referencing “Sick Cynthia Thing.” While the album does have many guitar tracks Hickman put a couple slower songs on the record to balance it out. The slower ballad-type songs drag the album down and sound pretty generic. “Dream Along With Me” and “Drunkard’s Epiphany” are the suspects here. The songs are surprisingly bland for such a good guitar player and writer. The exceptions are “Destiny Misspent” and “Whittled Down” as they are break in tempo for the album but still has a fresh sound. The album does have its high points though that balance it out nicely. The cover of “Resurrection Train” originally by Death Of Me (Hickman’s writing partner Chris LeRoy’s band) is a perfect song for Hickman. Death of Me’s version has a little more punch but the song couldn’t fit better for the Cracker guitarist. 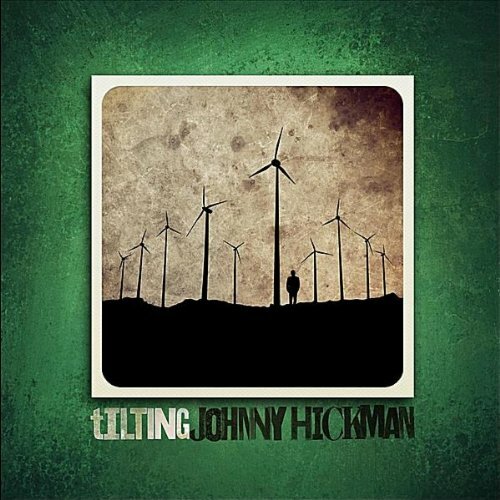 Another classic Johnny Hickman moment comes with “Papa Johnny’s Arms.” The stripped down song has a strong acoustic sound throughout and is one of the songs that makes this album worth hearing. While Tilting falls short of Palmhenge‘s greatness, it is still a solid record and is well worth a listen. This entry was posted in 250 word album reviews and tagged 250 word album review, 3.5 Stars, Chris LeRoy, Cracker, Death of Me, Palmhenge, Tilting. Bookmark the permalink. Thanks Chris, That Death of Me album is a nice little lost classic. You should be very proud of it.